A petition to save the courts in Calderdale has been started by a group of young solicitors with support gathering momentum. An online movement entitled SAVE Halifax County Court and Family Court AND Halifax (Calderdale) Magistrates’ and Family Court from closure has been created by the Halifax and Huddersfield Junior Lawyers Division. Chair Kara Priestley said they were keen to inform and explain to as many people as possible the effects the closures would have for Calderdale. “Closing the courts would have a massive impact to the interests of justice. 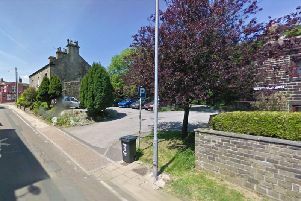 “Closure of the Magistrates’ Court will remove local magistrates with local knowledge administering the law on offences committed in Calderdale. The division also expressed concerns about the potential of solicitor firms having to close and move premises and the borough being left with two large empty buildings. But the response from experienced solicitors on Calderdale has been positive. “The reaction has been really good from local solicitors. She added that it is important for as many people to be part of the consultation process and hopefully the petition will make it easier for people to have their say. The magistrates courts in Calderdale and Halifax County Court are to close if government proposals go ahead. The two courts are included on a list of dozens of courts nationally which the Ministry of Justice could axe. A public consultation on the proposals has begun and will run until October 8. It is proposed that the Halifax County and Family Court closes and its work is transferred to Bradford County Court at Bradford Combined Court Centre. The consultation covers the proposed closure of 57 magistrates’ courts, 19 county courts, two crown courts, four tribunal hearing centres and nine combined courts. Visit www.change.org/p/ministry-of-justice-save-halifax-county-court-and-family-court-and-halifax-calderdale-magistrates-and-family-court-from-closure to sign the petition.